News	Forums General Gaming Other Consoles Sega Other Happy 26th Birthday, Sonic! 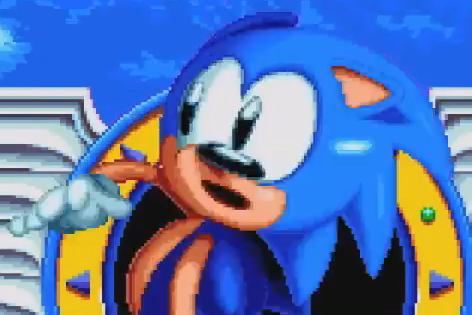 Through ups, downs, and all-arounds, Sonic has managed to keep on running through out the 26 years of his career, and capture the interests of gamers around the world. And because of that, he deserves 26 chili dogs. Seriously though, happy birthday Sonic! I thank you for the many hours I've spent on your games, whether good, bad, or frustrating. I haven't been a fan for a long time, but I'm still thankful that I've started getting into your stuff. I'll always be looking forward to your new games. Unless it's a Sonic Labyrinth sequel. Please don't do that. If you have a Sonic story, feel free to share it below. Re: Happy 26th Birthday, Sonic! I celebrated Sonic's birthday by hanging out with him online in PSO while doing the Tinkerbell 2 quest. Tails and Knuckles were there too! No Rappies were hurt during this adventure. The only way I know of playing Sonic online, hanging on the Pioneer 2 and running around in the forest with him and his crew. I posted a two-part video of me via YouTube playing the PSO/Sonic quest, Retrieval: Lost dog Tinkerbell 2. I will post a link later...I used a less than $5.00 USB capture device called EasyCap 2.0 with S-Video in which during the capture, it lost resolution a little bit. New Member! Happy to be here! Hey there, user name Mongonk, real name Eric. NJ Native!